"Keep Those Fins Inside The Fish!" ANGRY BIRDS IN YOUR FACE! 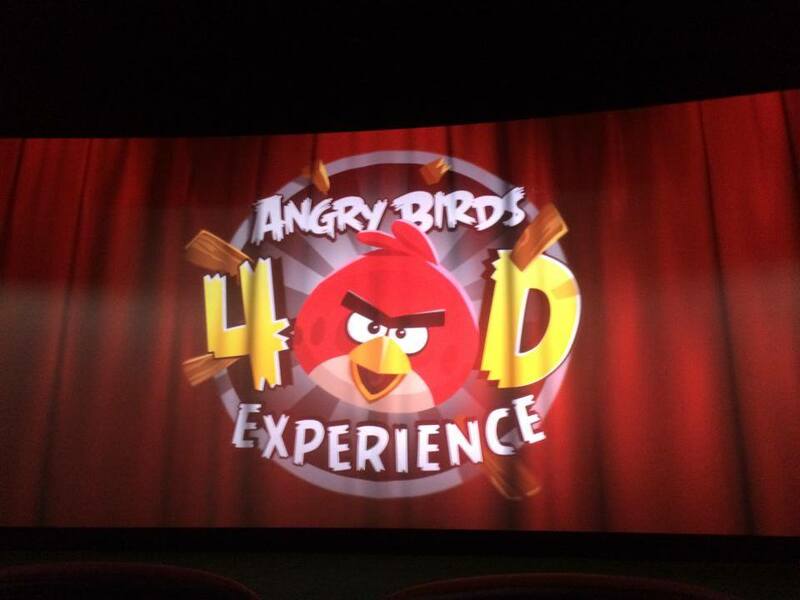 NEW FOR 2014 – Angry Birds 4D Experience. The 4D Cinema has been completely refurbished with all new Simworx Hardware the show consists of many special effects including motion simulation, water smoke and more! THE FOLLOWING PARAGRAPHS MAY CONTAIN SPOILERS THAT COULD PROVE DETRIMENTAL TO THE ENJOYMENT OF FIRST TIME RIDERS. At the beginning all is well in Angry Birds Land, but it don’t take long for the Bad Piggies to show up and cause mayhem by snatching the Red Birdie’s eggs, after an epic chase ending up in Space! All looks to be lost but with a bit of clever thinking the Red Birdie saves the day! The film is of very high quality and special effects are used very well continuously throughout the film, and we would certainly recommend you give it a go, watch out through you do get a bit wet!